Learn English at your home or work. Personalized lessons for individuals and small groups. I am a qualified English teacher (English as a Second Language), teaching adults at all levels from beginner (A1 : Elementary) to advanced (C1). 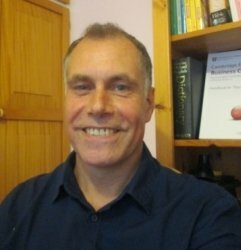 If you have come to the UK to live, work or study, I provide private lessons for individuals and small groups to help improve your use of English according to your particular needs. I have 12 years full time experience teaching General & Business English for adults in Brazil, Italy, Switzerland and the UK. From 2005 to 2010 : Full time Teacher of General and Business English in Sao Paulo, Brazil. Individual and group lessons both privately and working with private language schools. From 2010 to June 2015 : Full time teacher of general and business English in Northern Italy and Switzerland. Individual and group lessons with private language schools, companies and at University. From September 2015 to Present : Teaching private lessons for individuals and small groups in the UK. Real life communication is central to the lessons and I always aim to make lessons as interesting, useful and relevant to the individual student as possible. He is very experienced with good teaching skill.